Over the past few years, I’ve become convinced that health coaches, nutritionists, and allied healthcare providers will play just as big a role as doctors and other licensed clinicians—if not a greater one—in ushering in the future of medicine. This belief evolved out of my experience as the co-director of a large, interdisciplinary functional medicine clinic (California Center for Functional Medicine, or CCFM), my observation of current trends in both conventional and functional medicine, and my research on the growing challenges our healthcare system is facing. Let’s start with my experience as a clinic co-director. At CCFM we have many patients with chronic, complex disease that are not sick enough for the hospital but are too sick for the standard episodic model of care where they only see a licensed practitioner once every two to three months for half an hour or an hour. We’ve known for some time that these patients were underserved and that we weren’t providing them with the level of care they needed for optimal treatment and recovery. For example, they might see me for the initial Case Review appointment, where I prescribe a comprehensive protocol involving dietary and lifestyle changes, supplements, and other treatments; then they might not see me again for two to three months. Of course, I can answer short questions that they might have about the treatment in our EHR between appointments, but that is often not enough. Patients need more help: they need more detailed questions answered, support sticking with the protocol, and modifications when necessary. 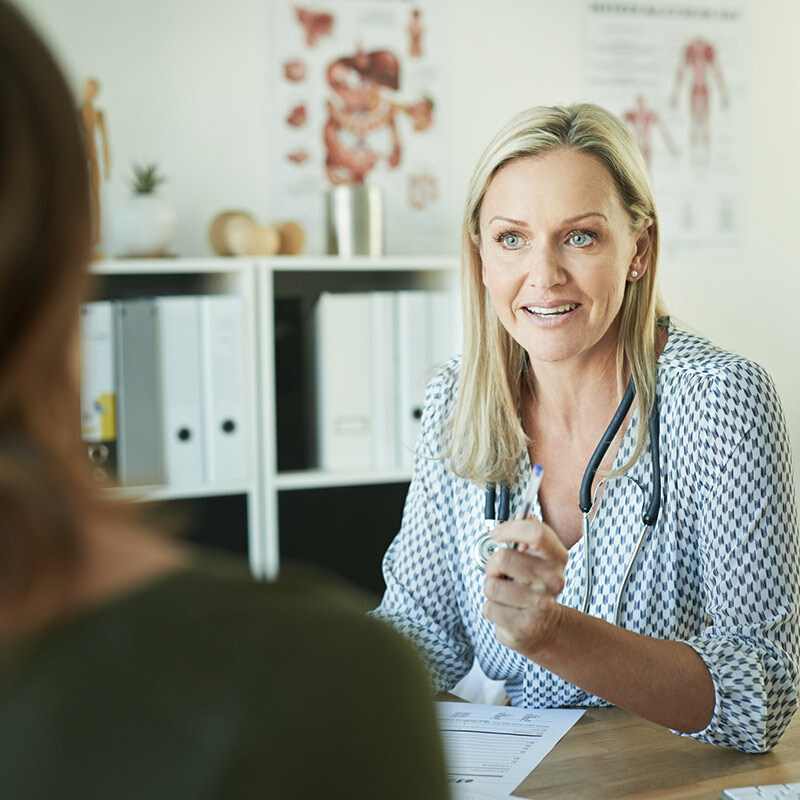 Clinicians are often too busy with other patients to provide this intensive level of care, but it’s the perfect role for a certified health coach or nutritionist with the proper training. Coaches will lead group visits and classes, typically oriented around a particular health condition or goal, such as autoimmune disease, weight loss, or pain management. Duke University now offers an “integrative health coaching program” that prepares people for a career in this field. Cleveland Clinic is utilizing health coaches in both their new Center for Functional Medicine and their Wellness Institute. Institute for Functional Medicine has allowed coaches and other unlicensed allied providers to take their courses—including Applying Functional Medicine in Clinical Practice—for many years. Iora Health and other primary care organizations are using coaches to get dramatic results with type 2 diabetes patients. In these programs, coaches are the primary point of contact with the patient, and diet and lifestyle changes are the core focus. Some estimates suggest that the approach used by groups like Iora can save insurance companies up to $14,000 per year per patient with pre-diabetes. This is a hot trend in medicine right now, and I’ve had meetings with VCs, entrepreneurs, and others that are working on innovative solutions in this area. Here at Kresser Institute, we’ve also embraced coaches. Although the ADAPT Practitioner Training Program is primarily oriented toward licensed clinicians, it is also open to allied healthcare providers such as registered nurses and dietitians, certified nutritionists, and certified health coaches that meet certain eligibility criteria. 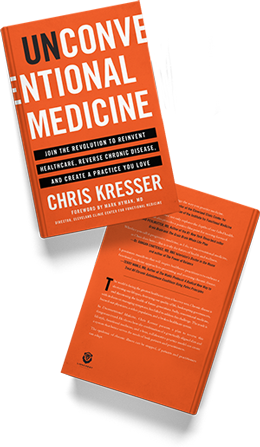 I recognize the growing role that these providers will play in the “(r)evolution of medicine,” and I want Kresser Institute to contribute to and support a multidisciplinary, team-based approach to patient care. Why are coaches and nutritionists essential to addressing the healthcare crisis? The unfortunate reality is that there just aren’t enough licensed clinicians to address the chronic disease epidemic; there aren’t enough medical schools or enough clinicians graduating from them, and that’s not going to change. This might sound like a catastrophic problem, but as the saying goes, “In every challenge is the seed of opportunity.” Research suggests that up to 90 percent of chronic disease is caused by diet and lifestyle factors. This means that health coaches, nutritionists, and other allied providers that are well trained in these areas can play a significant role—alongside licensed clinicians—in reducing the burden of chronic disease. The 5 percent at the top of the pyramid have serious, acute problems that require hospitalization, intensive care, and/or management by a specialist. 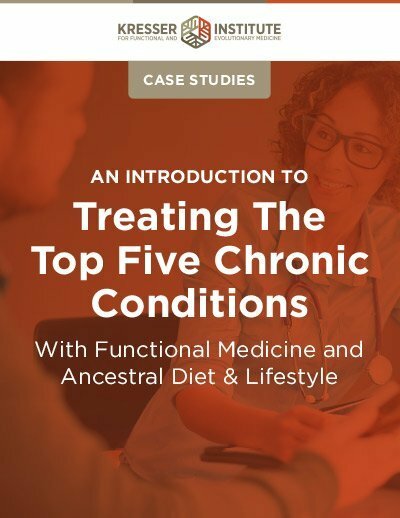 Although these patients would likely benefit from both functional medicine and ancestral nutrition and lifestyle, they often have urgent issues that must be addressed before they can focus on functional/ancestral medicine. The 25 percent in the middle of the pyramid are those that will benefit most from being under the care of a licensed clinician practicing functional medicine from an ancestral perspective. They will typically require diagnostic testing, differential diagnosis, and treatment protocols involving supplements, botanicals, and when necessary, medication. The 70 percent at the bottom of the pyramid may have a mild chronic disease, or they may be people that are essentially well but have one or more minor complaints, such as skin problems, mild insomnia, occasional fatigue, or digestive distress. Although these patients could certainly benefit from a comprehensive functional medicine approach, in many cases diet, lifestyle, and behavioral changes may be all they need to mostly or even completely resolve their complaints. Skilled health coaches, nutritionists, and allied providers are ideally suited to help this group—which comprises the majority of our population—especially when working in conjunction with licensed clinicians. 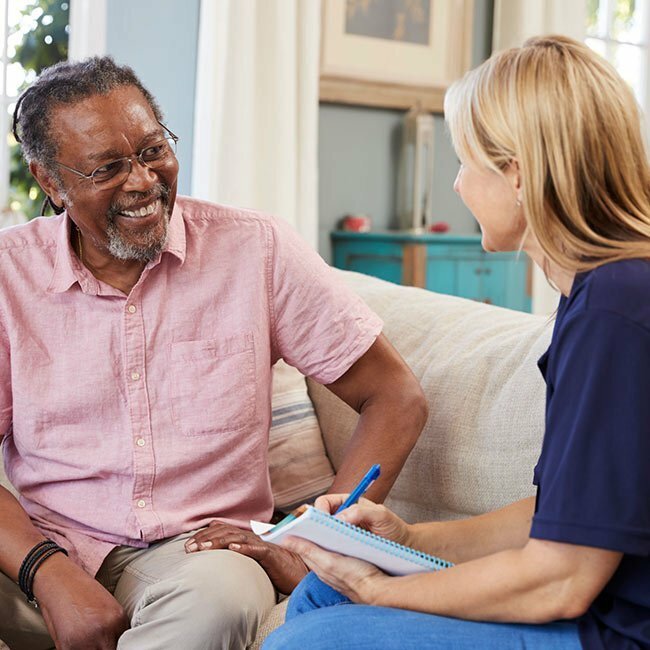 Patients get better outcomes and more support as they navigate through the complex and often challenging process of recovering from chronic illness. Clinicians provide better care to their patients without burning out and generate more revenue. How much more? In my ADAPT Practitioner Training Program course, I teach clinicians how they can utilize coaches and other allied providers to generate up to $130,000 per year per clinician in additional revenue—while offering a much-needed additional layer of support to their patients and working less. And of course better care means better results, which in turn means more word-of-mouth referrals and an even more robust practice. Coaches and other allied providers enjoy meaningful, rewarding work in a collaborative environment and an exciting career path that wasn’t widely available before. How can licensed clinicians work most effectively with allied providers? What are the most efficient models for delivering care (i.e., fee for service vs. packages vs. subscription)? How can clinics ensure that each professional is maximizing their value according to their training and scope of practice? These are not insurmountable problems, and with time the solutions will become clear. What is already clear, however, is that the growing collaboration between licensed clinicians and allied providers is a “rising tide that will lift all boats”—providing better care to patients, a more sustainable and rewarding practice for clinicians, and an exciting career path for coaches, nutritionists, and other healthcare professionals. I am wondering if you are accredited by any organization and also when you think you will be rolling out your program for those of us who would like to become health coaches. I have listened to your podcast and know that I do not want to be licensed but would love to work with practitioners and their patients in helping the patients to heal and have successful outcomes by following lifestyle changes. I’m exploring accreditation with various organizations. One of the pitfalls with this is that in order to be accredited, my training has to conform to certain conventional standards that I don’t agree with. This is less of an issue with the future coaching program than it is with ADAPT, because those accreditation organizations offer greater leeway to the training body in terms of curriculum and programming. Thanks for your interest… as I said in the blog post, we need you and others like you to join the movement! Your Swedish-American fan here. I took Eligibility Survey for the ADAPT program. I am one of the many individuals who did not have means to pursue expensive education. I have a desire to learn so I will keep being an avid fan of self learning. Keeping your podcasts and postings coming!! Living in Sweden for a year now, equally there is a population whom could benefit from Health Coaches! Doctors equally are overwhelmed here. The new Administration should be aware of the Health Coach model. Spot On; it is a solution. The USA excels in education – let the era of health education of begin! Later this year we’ll be launching a very affordable education/training/community option that I think will appeal to you and those in similar circumstances. Stay tuned! Great! I’d also be interested in a cheaper option. I am hoping and planning to enroll in your ADAPT course, but first I am looking to enroll and complete schooling to become a Health Coach or Nutrition Consultant. I’ve been comparing schools and their curriculums and was hoping you might have some advice on what online courses you would recommend? Curriculums and schools of thought seem to differ pretty greatly. I’m hoping to get a science based education that will equip to work with health care professionals like yourself. Any advice? I’ve been listening to your podcasts for over 2 years. Thank you for providing the latest research in an easy to understand fashion and congratulations on the exponential growth of your practice and the creation of the Kresser Institute! I’m very interested in the forthcoming health coach training. 7 years ago I was 75% of the way through a Holistic Health Practitioner program based in San Diego, CA, and a relocation to the East Coast, a subsequent move, and having two babies put everything on hold for me in that regard. I’ve been seriously considering the NTA’s programs for either NTP or NTC, but am excited to hear more about the Kresser Institute’s health coach training program and how it compares to the NTA’s program. I’m passionate about ancestral health, functional medicine, and helping others to thrive. Thanks for the podcast and blog. It answered a lot of questions I have about my path forward. Natalie, I don’t know if you are still checking this post, but I wanted to comment. After listening to Chris’s podcasts, I think I can say that his program would probably be comparable to NTA’s training. I am an NTC. NTA really focuses on the foundations of health. It is 9 months long for the NTC program, and the NTP program includes the hands on Functional Evaluation. I’m sure that there will be some differences, of course. But either program will be beneficial, so whichever way you choose will be a pretty rigorous program, and you will help so many people. Good luck in making that decision! I read your articles and listen to your podcasts whenever I can, and I so appreciate your approach to how you present information: always balanced and unemotional, based on the facts but including your own take on things. 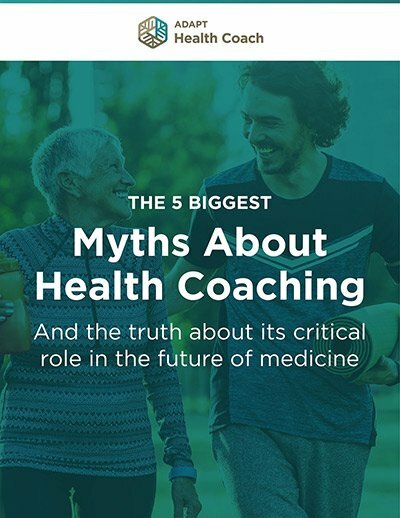 Great article on the role of health coaches! I actually am putting together a presentation to a non-profit health care collaborative I work for. Could I get your permission to use the graphics, like the pyramid? Would it be ok if I used a quote or two of yours, referring to you and your work of course? I went through the Nutritional Therapy Association’s training program and have been an NTP since 2014. I have not had very much success with private clients for various reasons. What I love most is teaching classes, and I recently started teaching a pregnancy nutrition class at a local pregnancy center. I’m saving up some money and plan to take your Healthy Baby Code course ASAP. I also wanted to ask if you are aware of any functionally trained doctors in the Olympia, WA area? Thanks again for all the great info, you are definitely one of my go-to experts! Thank you enlightening me how important health coach is. What is the price range for health coaches? Thank you for the valuable information that you provide. While I am a Naturopath (a true ND) that practices Traditional (according to W.H.O. meaning), I would like to explore health coaching. Is there a place for NDs as a health coach in your organization? I would also like to comment that 508 C1A is a true separation of church and state. Therefore, it is not necessary to have accreditation to practice. For more information, https://www.nongov508c1a.org. Why don’t you mention IIN in your article??? I think I’ve found my vocation! I was at both days in London and left with the T level of a Bull 🙂 Health coaching is something I could do on a part-time basis alongside my music and other creative pursuits. Studying with a visual impairment as well as ADD will not be easy but I’m pumped man. I’m beyond excited to learn what you’re offering regarding the Health Coach program! I was just about to push the button to start process for NTP and then I read your email that your announcing next week about the program! I literally can’t wait (really, cuz I’m 60) haha! I need to to this, my DNA is shouting at me to do this! Are we there yet! Thank you for all you do, love your Podcasts! I couldn’t agree more, which is why I’m currently working towards my Nutrition Consultant certificate at Bauman College in Berkeley! Does the Kresser Institute consider this education enough to be a health coach or nutritionist? If so, does your Institute offer a mentoring program for students like me? I am a recent grad of the Functional Medicine Coaching Academy (FMCA) this past June. I have extensive experience working with people in a corporate environment, and have spent the last 4 years getting my BA Interdisciplinary Studies with concentrations in Healthy Nutrition and Wellness (exercise). Are you still looking for health coaches/mentors in your organization? I am a CA resident, living in SoCal with excellent internet connectivity. Thank you so much for reaching out Maryann. We are no long accepting applications for the mentor or teaching assistant positions at this time. If that changes, we will be sure to announce that via email to our newsletter list. Have a great week! Just curious if there are any specific nutritional practitioner or Health Coach programs that are already up and running, you recommend and that share similar values and perspectives on medicine, health and weakness.